Garlic is often seen as a delicious staple ingredient, something one has to have in their kitchen. But it’s also seen by many as dispensable. If you don’t happen to have any, or if you can’t be bothered to prepare it, then no big deal. But the addition of more garlic in your diet isn’t just good because of its exquisite and unique flavor; it’s also because garlic is incredibly good for your health. So here’s a productive rant about, well, garlic! High blood pressure. Artery hardening. High cholesterol. Coronary heart disease. Blood coagulation. These are all things that are bad for your heart – and guess what food helps fight them all? You know it: garlic. Garlic has been shown in multiple studies to improve the health of your circulatory and respiratory system – you can check out the results of some of these studies at http://jn.nutrition.org/content/136/3/736S.full. However, as with any food that’s good for your heart, you’re also going to need to give it some help by getting regular sleep, exercise, and by drinking plenty of water. Sitting around and eating garlic won’t make up for a day spent doing no physical activity. Mincing is often seen to be the easiest way to get garlic into a meal because it softens the sharp flavor really will. But something you should consider that helps protect the good elements of garlic during cooking while giving you a nice chunk of the stuff is adding slices instead of mince. Get yourself a sharp knife – you can read more at http://www.cutitfine.com/utility-knife-reviews/ – and carefully cut some nice slices of garlic. Sauté it over a gentle heat for about thirty seconds before adding the other ingredients. As with many foods that are often give ‘superfood’ status, many would argue that the best way to get all the benefits of garlic is to eat it raw. Thankfully, there are several ways to do this that don’t involve simply swallowing garlic straight-up, which can be overwhelming to say the least! 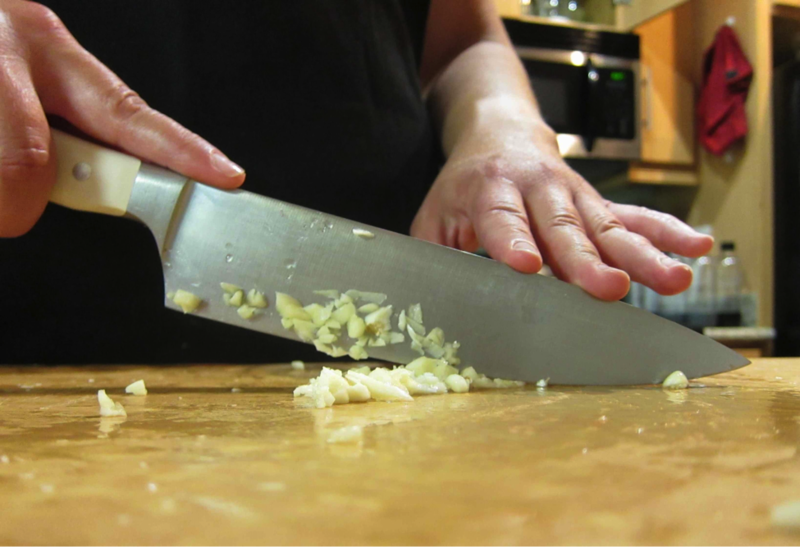 Again, a really sharp knife will come in handy to get the garlic into more ‘user-friendly’ portions. 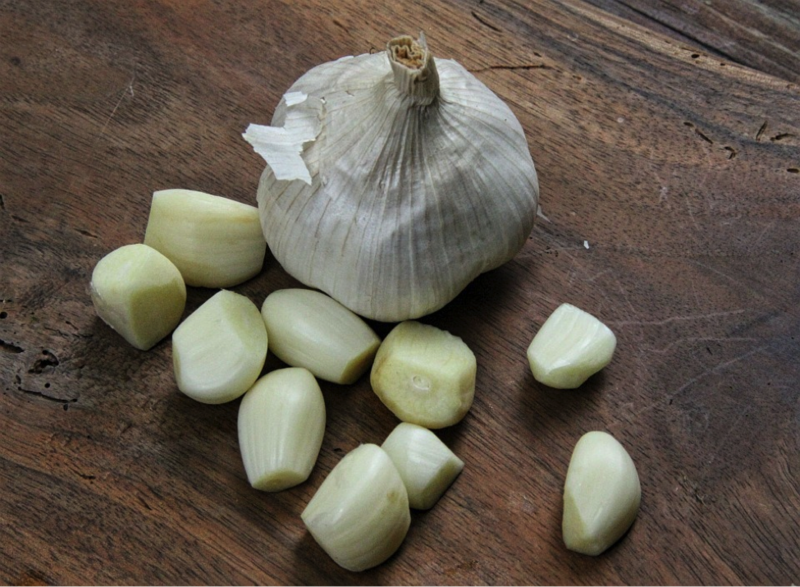 Putting thin slices of garlic on buttered toast, putting it into guacamole or salsa, stirring it into a cooled pasta sauce, adding them to mashed potatoes… there’s no shortage of ways to introduce raw garlic into your diet without having to deal with the overpowering taste! It’s summer, and for a lot of us, summer and barbeque cookouts go hand in hand. 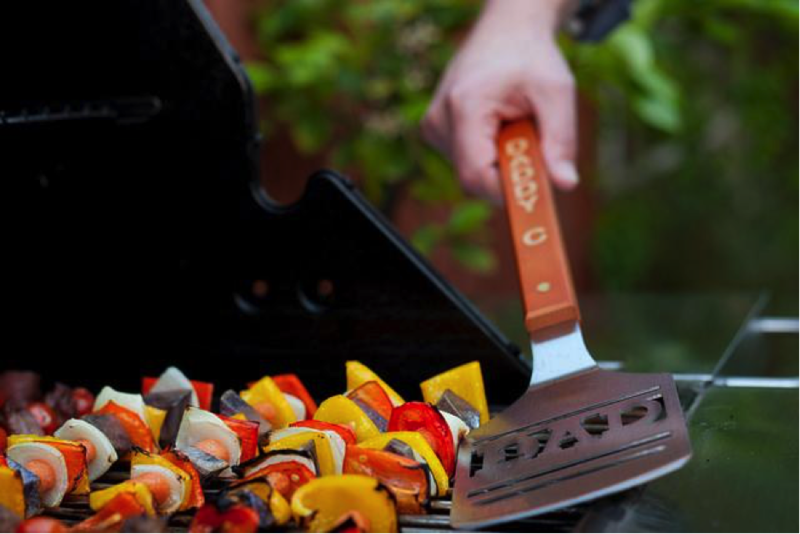 If you’re planning lots of outdoor dining experiences this season, why not aim to make your cookouts the best yet? There are lots of simple cookout tips that can elevate your barbeque from ok to AH-MAZING and make the whole process of barbecuing even easier. If you use even just a few of them, you’ll soon get a reputation as the best barbeque in the neighborhood. There’s nothing worse than planning to cook burgers on the Barbie, only to find out that you’ve run out of kindling and you’re all going to go hungry after all. But, if you have some Doritos in the kitchen or any chips for that matter, you will be able to go ahead and flame-grill those burgers because, chips, and especially Doritos, make for excellent barbeque kindling, due to their dryness and their high-fat content. If you love making burgers, and you know that your homemade patties are the best, but you hate having bits of meat stuck to your hands, simply coat them with either a small amount of cold water, or even better a thin layer of vegetable oil, and you’ll bed able to make enough patties to feeds the whole neighbourhood before your hands become a sticky mess in need of a good wash. If you want your guests to be amazed when they bite into you burgers because of your patties are so succulent and juicy that they basically melt in the mouth, then you really do need to work at keeping the meat moist. This isn’t always easy when you’re outdoors in the heat. Fortunately, the fix is a simple one – just mix a couple of tablespoons of mayo to each pound of ground meat you use will ensure a moist burger and enhance the flavor. If you’re cooking your meat medium rare and you want it to be perfectly pink in the middle, you could also add an ice chip in butter to the center of the burger, and that will stop it from getting too hot. One of the best tips I was ever given was to heat the barbeque to two different temperatures, one at each side you can do this by only heating up half of the grill. That way, you can move cooked foods to the cool side to finish off without the risk of them burning. Barbeques are nothing without condiments, but what do you do when you don’t have enough condiment dishes to meet your needs? Do you just serve your ketchup and mustards in the bottle? No, you don’t. You serve them up in muffin trays, that’s what you do! If you’re cooking kebabs (and if you aren’t, why not?) Instead of attaching your meats, seafoods and vegetables onto one kebab skewer, use two instead. It stops individual chunks from moving around and getting burnt or unevenly cooked as a result. Just remember to soak your skewers before use if they’re wooden, to avoid setting your lovely food on fire. I’m going to say three words that will change your life – well the barbecuing aspect of it anyway – forever: Himalayan salt block. If you don’t know what Himalayan salt is it’s that pink salt that you often see in whole food stores. Bought in a block, it is hands down one of the best things to cook barbeque food over. Skip, the usual seasoning and just lay your meat down on a salt block over an outdoor stove (gas or electric) and you will be rewarded with the tenders, juiciest most flavorful meat you’ve ever eaten in your life guaranteed. If you’re having a barbeque, then you most certainly should not forget to pick up some fresh starts at www.Citarella.com/shop/lobsters-shrimp, and when you have that wonderfully fresh seafood delivered to your door, you simply must cook it over lemons. Just slice up a few of the citrus fruits and put them on top of your fish, lobster and shrimps it cooks for an end product that manages to be sweet, smoky and slightly sour all at once. Your guests will be shunning the burgers for the shrimp if you do. Alternatively, you can make a simple marinade by combining olive oil, lemon juice, and garlic and marinating your seafood in that for a few minutes before cooking. Apple juice isn’t just for drinking. In fact, it is perfect for barbecuing. If you spray your grill with apple juice every so often, and you do the same to your meat too, it will be browner, more tender and all round more appetizing. It sounds a bit odd, but trust me it works really well. We all love to eat chicken especially when it has been chargrilled to perfection, but actually cooking chicken on the barbeque can be quite difficult because of its irregular shape. Chicken is rarely the same uniform thickness, and this means that when one part is cooked, the rest might not be or it could be. A very simple hack to solve this problem involves nothing more than a brick and a sheet of aluminum foil. Wrap the brick in foil and use it to press down the chicken until it is one completely even. Then, leave the brick on top of the chicken as you cook it. The meat will be more crispy and tender than any of yore previous efforts. Most people don’t expect to be served up freshly cooked pizza at the cookout. Sure, they might expect to see some pre-cut slices of cold pizza, but fresh, molten hot pizza – that’s something you don’t often see at a barbeque. 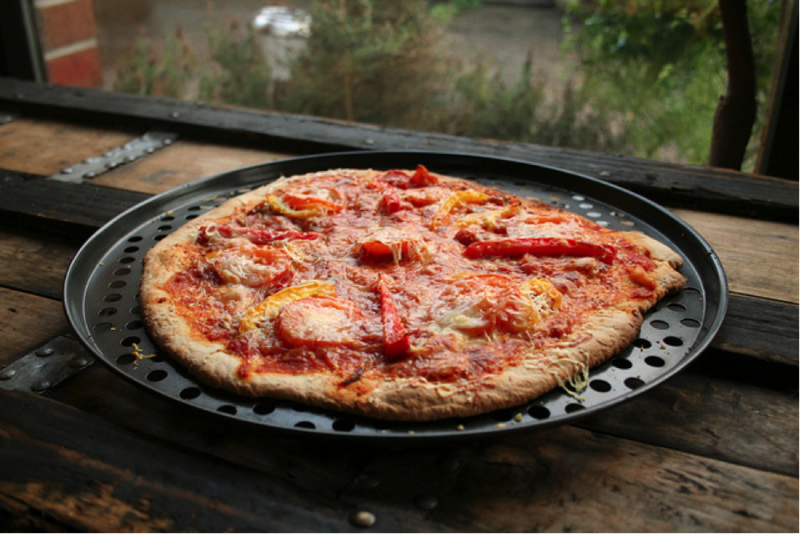 So, why not exceed your guests’ expectations by serving them up a freshly grilled pizza? It’s really easy to do. Just check out http://ourbestbites.com/2009/06/tutorial-bbq-grilled-pizza/ for instructions. You can thank me for the tip later! Of course, not all of your guests are going to be meat eaters, and even if they are, it’s always good to serve up some veggies to healthy things up a bit, but what to cook? Vegetable parcels, that’s what. They’re so easy that they’ll take up very little of your time and because they’re cooked in foil, there’s no risk of them being contaminated by meat and fish juices. To create delicious veggie parcels, just chop up and combine mushrooms, peppers, zucchini, corn on the cob, garlic, and sweet potato. Suasion with herbs and salt and toss on the barbeque for between five and ten minutes. While you’re grilling up burgers, fish kebabs and sausages on the barbeque, why not use that time to create your own smoked salt too? It tastes amazing, and you can use it to add that smoky barbequed flavor to dishes that have never been anywhere near the grill. All you have to do is light the grill, fill a pan with your favorite salt, and any other herbs you fancy and place the pan directly on the grill. It’s a good idea to use a nice smoky wood like cherry or apple to give the salt the most flavor, but you can use anything you like to get the desired flavor and ensure that you always have a smoky condiment on hand when you have a hankering for barbeque and no time to grill. The worst thing about hosting a cookout is the clean up that comes afterwards. Luckily, I have the answer to that problem – don’t do it. If you use paper plates and disposable cups, knives, and forks, and you soak your grill in a solution of ammonia once it’s cooled, you’ll hardly have to clean anything up at all, and you can well and truly enjoy your summer evenings! Are you a grilling or queen? 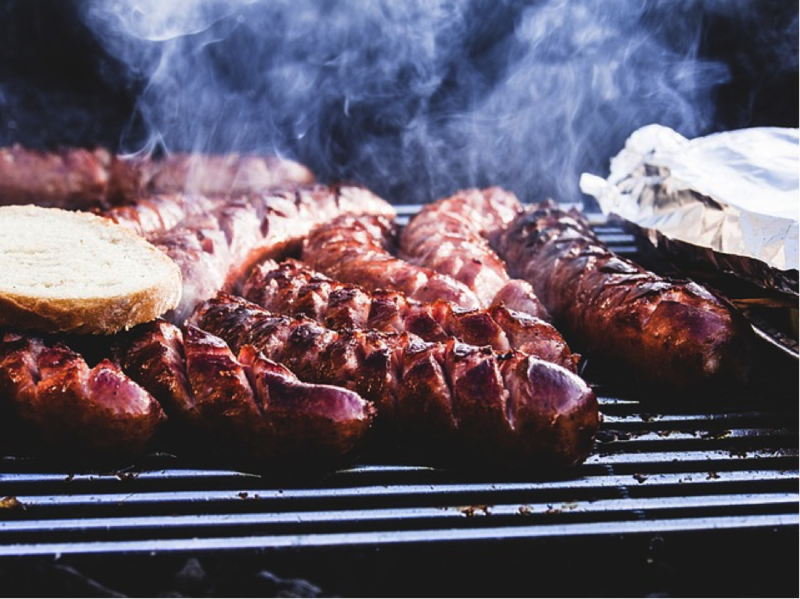 What are your top tips for hosting the best cookout and producing the best barbeque food in the the neighborhood? Got a Passion for Fashion? Turn It into a Profession! Turning their passion into a profession is the dream of many. Unfortunately, however, not enough people attempt such a venture as they choose to, instead, make do with their ‘safe’ job. But where’s the fun, and the passion, in that? Nobody should stand for letting their passion disappear as they settle for a job that doesn’t provoke any sort of feeling within them. And fashionistas certainly shouldn’t stand for it. There are plenty of ways for fashion lovers to forge a career in the fashion industry — read on to find a few of them. Both when you’re in the comfort of friends and when you’re in your fashion based job — whether this be an internship, an entry level fashion store job or a position of management in such a store — you need to dress differently. You need to prove to everyone that you are someone who knows how to be different with their dress sense. But you also need to prove yourself as someone who is on trend too. So, why not try tweaking the current trend, whatever that may be, in your own, unique way? Even in the fashion industry it is a case of who you know rather than what you know. This is unfortunate because, really, it should be the other way around. However, it’s not and the sooner you accept this, the better off you’ll be. And the sooner you begin to make vital fashion connections, the better off you’ll be too. Whether this means schmoozing the boss of your internship or entry level store job, or connecting with fashion designers as you climb higher up the ladder and attend networking events, you must do it. And you must do it even if you are prone to shyness. Whether being the CEO of a fashion company is your life’s goal or not, in order to forge a career in the fashion industry you have to show yourself to be someone that always wants more. And to show you always want more, you should always be searching and applying for higher level jobs. There are a host of careers at Belk that suit this description perfectly. At the moment, the company has vacancies in all sort of high level roles: from Director of Brand Management to Sourcing Associate to Technical Designer. And these are the sorts of roles that you should set your sites on. Well, in any case, what’s the harm in applying? If you are a lover of fashion and have a real passion for it, what’s stopping you from turning it into a profession? Certainly not advice on how to go about it, that’s for sure, because it’s all up there above. Maybe it’s because you’re scared that being in such close proximity to fashion at all times will force you to hate it? If this is the case, then you should know that the best and most amazing hack that every fashionista should know is that a career in fashion will provide them with on-tap clothing. If that’s not enough to entice you into the industry, then what is? Posted in Beauty & Fashion, LifestyleTagged Best Fashion Blog, Business Ideas, Business Ideas for Women, Fashion, Fashion as Profession, Fashion Blog, Fashion Blogger, Fashion Passion, Lifestyle Blog, Lifestyle Blogger, Passion as Profession, Passion for Fashion, Profession Ideas, Professional ideas for WomenLeave a Comment on Got a Passion for Fashion? Turn It into a Profession! Destination weddings aren’t for everyone, but if you’re considering one, it could be the right choice for you. There are some very important issues to consider if you do want to have a destination wedding. It’s your wedding day, so you want to make it as magical as possible. But because it’s a destination wedding, it’s likely to last more than a day, and there are a lot of practical things to sort out too. More so than for a wedding at home. 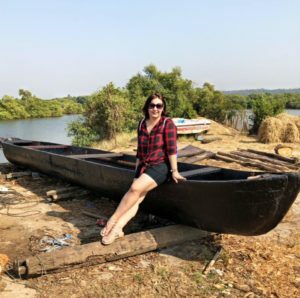 You want your wedding to be perfect, and you might have to navigate a foreign country or at least a different city or region than you’re used to. Get your destination wedding right by thinking about these big issues. 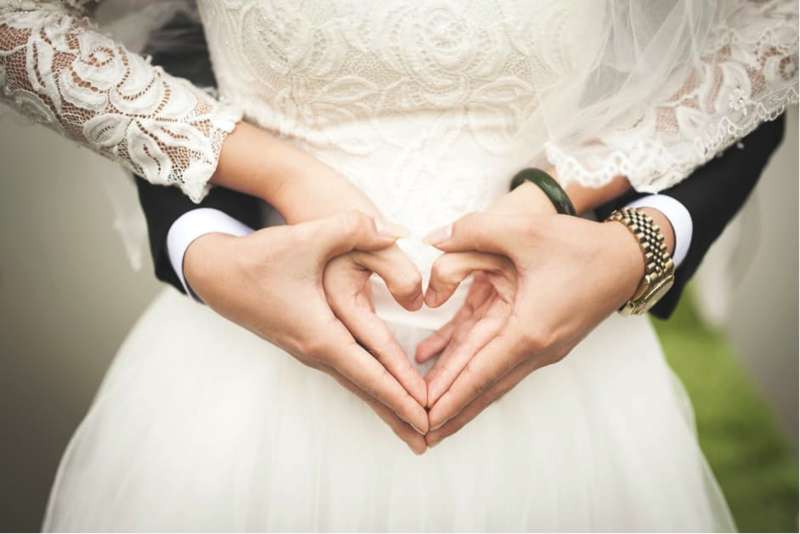 Whether you’ve already settled on a destination wedding or you’re still mulling it over, you should be clear about your reasons for having a destination wedding. One could be, of course, that you love the beauty of the destination you’re considering. However, you might not even have thought about a destination yet. It could be the fact that you’ll be away from home at all that appeals to you. Some people choose a destination wedding precisely because they want to limit their guest list. It’s a great way to keep numbers down, either by inviting fewer people with the excuse of your budget or discouraging people you don’t really want there from coming (but who you can’t exactly not invite). Maybe you like the idea of combining your wedding and honeymoon, or you want to feel like you’re on vacation with your whole family. You might already have the perfect destination in mind. And possibly you’re willing to do what it takes to get married there and have all your essential guests there too. However, you might not have settled on a destination just yet. Perhaps you have a certain type of location in mind, from a beach wedding to a mountain retreat. When you’re thinking about possible locations to get married, think about both the beauty of the place and the convenience of getting married there. You need to consider a range of issues, such as legalities, weather, and how easy it might be to communicate with local vendors and services. And don’t forget about your guests. How easy will it be for them to get there? How affordable? If you’ve picked a destination, you can think more about how you’re going to make sure that your most important people can make it to your wedding. 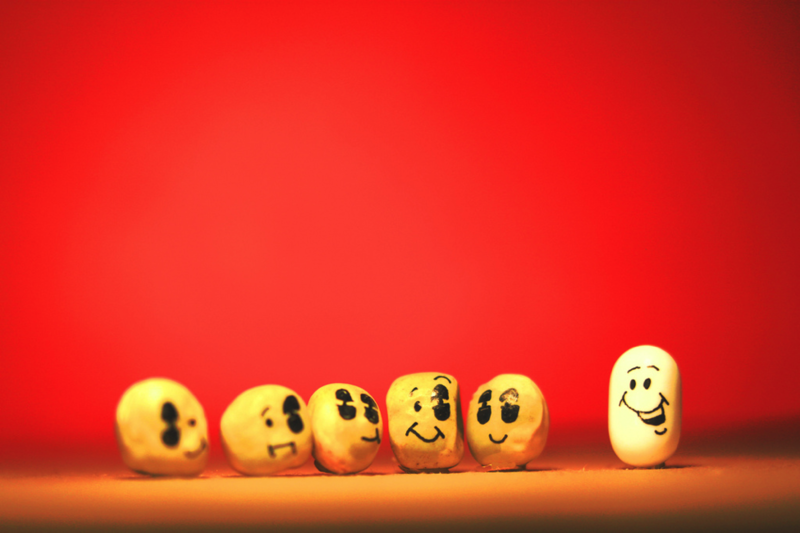 You might take a few different views to helping your guests to attend. Perhaps you have a handful of very important guests who you can pay for or help to pay for. Anyone else you invite might be people you would love to have attend, but only if they can afford to at least partially pay for themselves. An invitation to a destination wedding can be a big ask because you are basically asking someone to use their vacation time for your event. But maybe if you have a bit more cash to spend, you might offer to pay for or subsidize some of your guests for travel, accommodation, and other necessities. If you can’t help out in terms of money, you could do things like helping to reserve accommodation and transport. 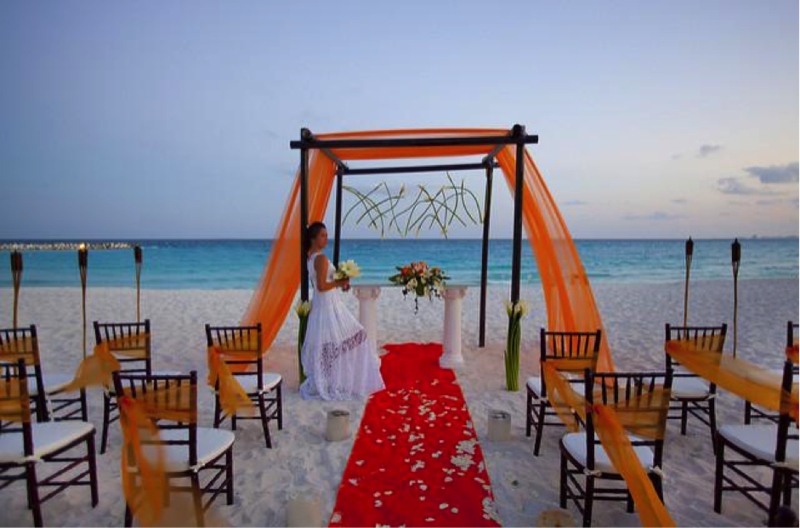 Organizing a destination wedding often means you’ll be dealing with local wedding vendors. While you might have someone to work with at home, you often need to be in touch with people who could be hundreds or even thousands of miles away. Sometimes there might be a language barrier to deal with too, but you can often find someone who speaks your language. If not, you can use an interpreter or translator to make communicating easier. You need to choose vendors who can meet your needs. One way of doing this is choosing those who specialize in destination weddings. Vittore Buzzi Photographer is based in Italy, offering photography in Venice, Tuscany, and several other destinations. 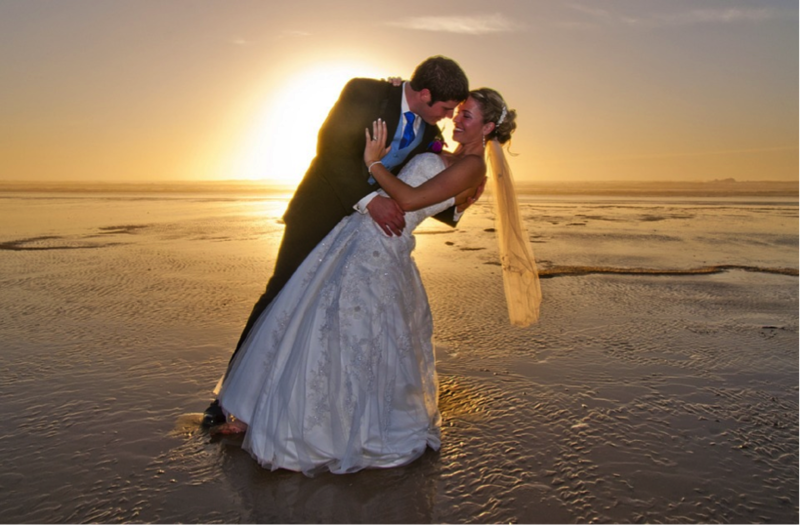 You can easily tell from the website that the photographer has plenty of experience with destination weddings. You can read stories of couples they have worked with before and view their portfolio too. While it might seem exciting to turn up at your destination just before you’re due to get married, it’s not ideal. If you want to make sure you’re not going to suffer a shock when you arrive, visiting the destination at least once is essential. You might choose to do this to scope out possible locations and venues. 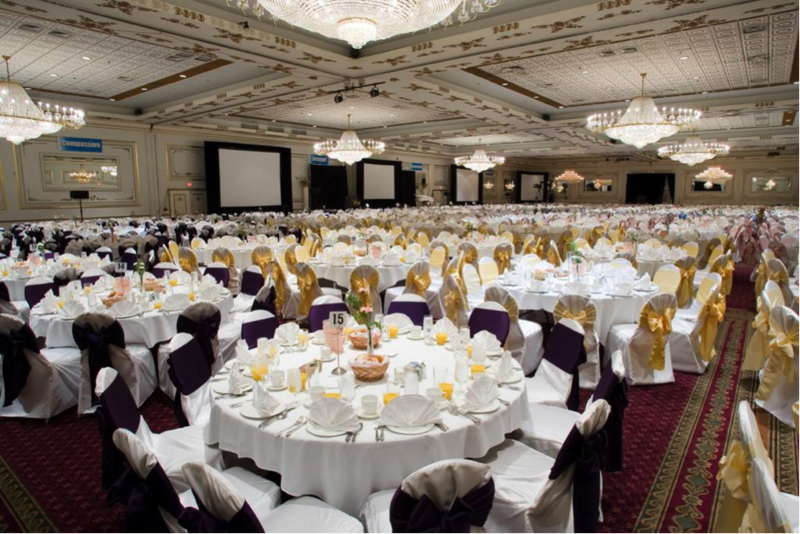 Or if you’ve been to the destination before, maybe you’ll go just to take a look at the venue you want to confirm that it’s for you or to get the ball rolling with arrangements. Ideally, being able to visit two or three times is even better. However, that can be tough if it’s expensive to get there. You might be familiar with the weather at home, but you might not know it so well where you’re going. Some destinations can have extreme conditions, while others can struggle to get ten sunny days a year. It’s important to think about the right time of year for your wedding and other problems adverse weather could bring up. Hot weather can mean having to keep your guests cool and hydrated. Snow might make for a beautiful winter wedding, but be aware of any transport issues it could create. It’s especially important to consider the possibility of any natural disasters, such as hurricanes and, although they’re not exactly weather, earthquakes. You should have a good understanding of local conditions so you can choose the best time and location, as well as prepare for looking after your guests. Destination weddings can be incredible, but they are a lot of work. If you’re prepared to take on the task, consider the practicalities carefully. As exciting as it, planning your wedding is never easy. 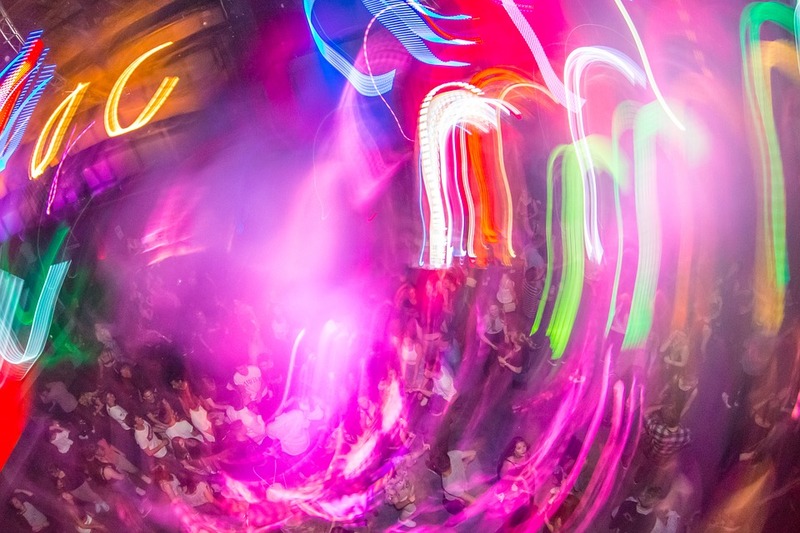 However, it can be an even more daunting prospect when you know that the guest list will include vast numbers. With more people attending, it’s only natural to fear that more could go wrong. In truth, though, ensuring that the big day goes ahead without a hitch is no harder for 500 guests than 50. It’s simply a case of making smart decisions. Here are five simple tips to ensure that the big day surpasses even your wildest expectations. 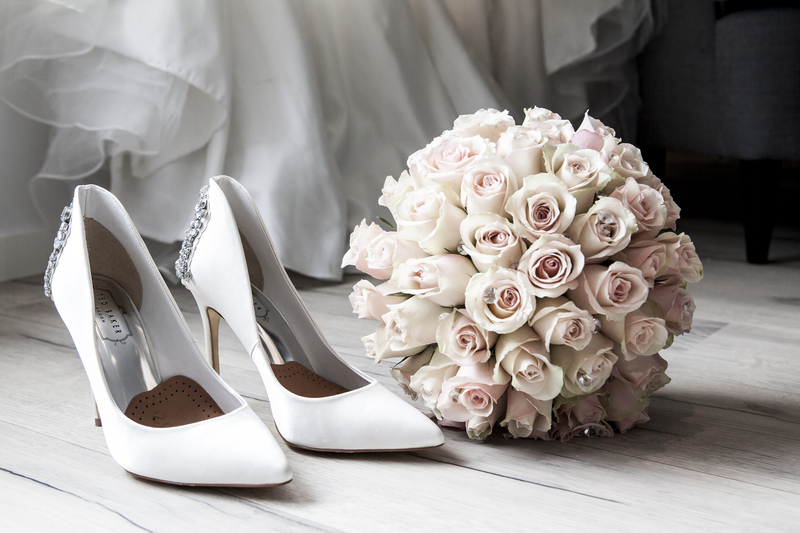 The perfect wedding venue should be one of the main focus points for any happy couple. However, it arguably takes on an even greater importance when you have many guests attending as the size will be another key factor. There are still plenty of other aspects to consider before making your final decision. Nevertheless, getting the choice of venue provides a platform to build upon. If that doesn’t help make this the happiest day of your life, what will? If you have a large number of guests turning up, there’s a good chance that you’ll have several people completing key duties too. Brides with big families and friend groups may boast many bridesmaids. The thought of splitting them up ahead of the big arrival just doesn’t sound right. Visit http://www.fl-limousine.com/limo-service-fort-lauderdale to find out about bigger vehicle options. Meanwhile, the groom may want to spread duties across each of the best men so that they all feel valued on the big day. In an ideal world, you’d love to invite everyone for the whole day. Sadly, the costs involved mean that feeding and hosting the entire party could ruin other parts of the day. Split the wedding into two, and only have the key members attend the first part. Other guests can turn up later for the big evening party. This enables everybody to play a part in your big day without reducing the enjoyment. Meanwhile, another trick to remove some of the financial stress is to ask guests to provide help rather than a gift. Whether it’s baking the cake or buying their own outfits, every little helps. The big day will fly by regardless of how many people are invited. When there are many guests to consider, though, you might not get to spend that much time with each of them. So, you should provide guests with disposable cameras or a unique guest book as a way to record those magical memories from everyone’s perspective. Meanwhile, photographers like https://cingraham.com/ can capture the big group moments to perfection too. When this combination is in place, you’ll be able to reminisce about that perfect day for many years to come. Keeping everyone happy is easily one of the hardest challenges on the wedding day with big guest lists. Arguably the most important issue to consider for the main guests is dietary needs. Vegan or gluten-free dishes may be essential additions. You should also prepare entertainment for the children as sitting through the speeches can be a little tiresome for young minds. As long as you take the needs of all guests into account, you will be just fine. Don’t let that bike rust away in the shed. There are plenty of pros to cycling that can make it the ideal way of getting around. Here are just a few reasons to get on your bike. Cycling has all kinds of health benefits from building muscle to helping joint stiffness to helping circulation and breathing. It’s the perfect aerobic workout and one of the best ways to lose weight. Cycling however is not only healthy for the body, but the mind. Whilst cycling, you totally replenish your body’s supply of oxygen, providing fresh oxygen to the brain which helps with concentration and work productivity. Health.harvard.edu lists some of the major health benefits. When it comes to getting around locally, cycling can be twice to three times as fast. 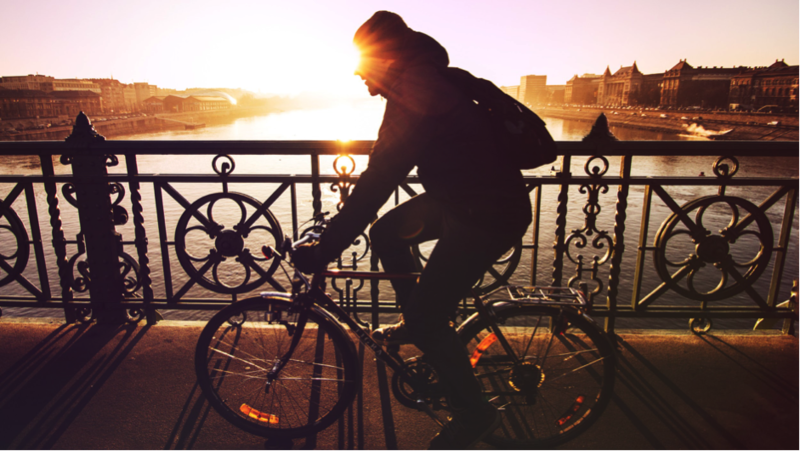 If you usually walk to work, cycling could allow you to leave the house later, which could in turn allow you to wake up later. Meanwhile, for those that drive short distances to work, taking your bike instead could be a much greener way to get to work. Bicycles don’t use up fuel and don’t damage roads as much as cars leading, leading to less repairs. Meanwhile, whilst there are some fossil fuels burnt up during the manufacture of a bicycle, it’s nothing compared to the manufacture of a car. For helping you to feel happier about your carbon footprint, taking the bike to work instead of a car could be worthwhile. Cycling can be a great family bonding experience. Whether you go a bike trip along roads or simply cycle around the park, the kids will love it and you’ll all improve your fitness from it. Even for kids that are two young to cycle, there’s the option of trailers as available at sites such as BikeTrailerHub.com. 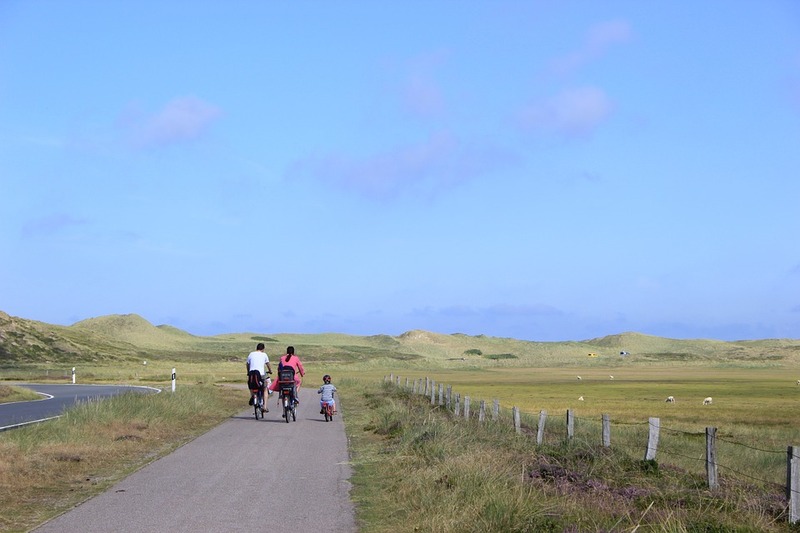 You can also pursue cycling as a holiday activity – there are plenty of vacation hotspots around the world that specialise in cycling. Riding a bike is also remarkably cheap. Your biggest cost is going to be the purchase of the bike itself, which may be a few hundred if you’re looking for a professional model. However, after this, you won’t have common driving costs to worry about such as insurance or fuel or parking or road tax. Bike repairs are generally cheap as you can go DIY on most of them. Even if you do visit a professional to get your bike fixed, it’s unlikely to set you back as much as a regular car repair. Few people would ever swap out a car for a bike, however you could lower your driving costs by taking the car less and a bike more. 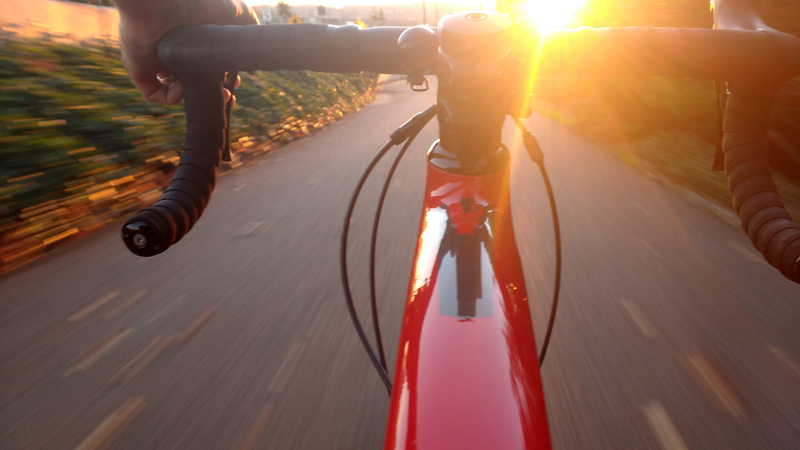 Cycling may even save you on extra costs in the long run. For one, it will keep you healthier longer, which could lead to fewer medical bills in the future. We may live in a digital age, but most of us still fill our homes with photos of family and friends. They serve as reminders of past events, happy moments, and memorable occasions. You might not spend hours staring at them, but you wouldn’t want to have a home without all those faces around you. You might use a digital photo frame that scrolls through holiday snaps, historical shots of senior family members, and old baby photos. Or you might have the entire wall of your stairwell filled with framed pictures of everyone you love. A giant canvas art in the living room and printed pictures held up by magnets on the fridge are all common uses of photographs. So which moments do you treasure most? This is often staged and produced at a professional studio. The photographer will position each of you, so you all fit in the frame. He might request that you all wear the same color, or choose something with different textures. This can add to the visual impact of the shots. Portrait photography like this is often digitally altered, edited, or graded to appear more art-like than your standard taken-at-home shot. This makes it perfect for a large print in a frame or a large format canvas art. This is a pivotal moment in your lives. And it’s also the day when you’ve never looked more beautiful. When you’re discussing the photography, make sure all the shots you want will be covered. You can also choose how they’re presented, although an album is most common. Why not invest in a large portrait print for the wall? Photos last just as long as the memory, so why shouldn’t you adore that day? This might be the event of the year. Chances are a lot of planning went into this one to make it perfect for the birthday boy or girl. These are the photos you see most often on social media. 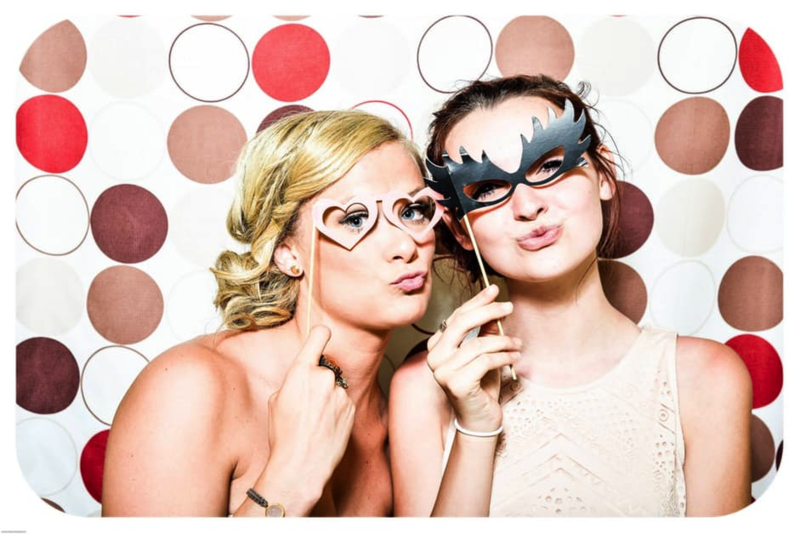 Themes that involve dressing up certainly make the best shots, and everyone wants a pic of themselves in their fancy dress costume. You could hire an event photographer, or ask that everyone uploads their pics to a common FaceBook page. That way, you pick the ones you want to treasure and arrange for prints. This is another fantastic photo opportunity that is often covered by the professionals. That doesn’t stop you taking a few pictures yourself in a more casual stance. It can help to show the enjoyment of achieving that all-important certificate. Bring all the family in for a group shot. What should you look for in a great picture? A natural smile and interaction between the people in the photo always makes for a good pic. Think about what else is in the frame. Remove clutter, and try to avoid straight-on portraits. A little turn to the side helps add depth to the image. Most importantly, let what we see in the frame tell the story of the occasion. Entertaining at home used to be considered a casual alternative to a night on the town. If you wanted a low-key, easy way to catch up with friends and relax, you would get them over to your place and either order takeout or cook a cheap and quick meal. Restaurants and bars were reserved for special occasions only – but these days things are quite different. Home entertaining has not only become more common in everyday society, but it has also become much fancier. People go all-out to impress with both their hosting and their cooking skills. 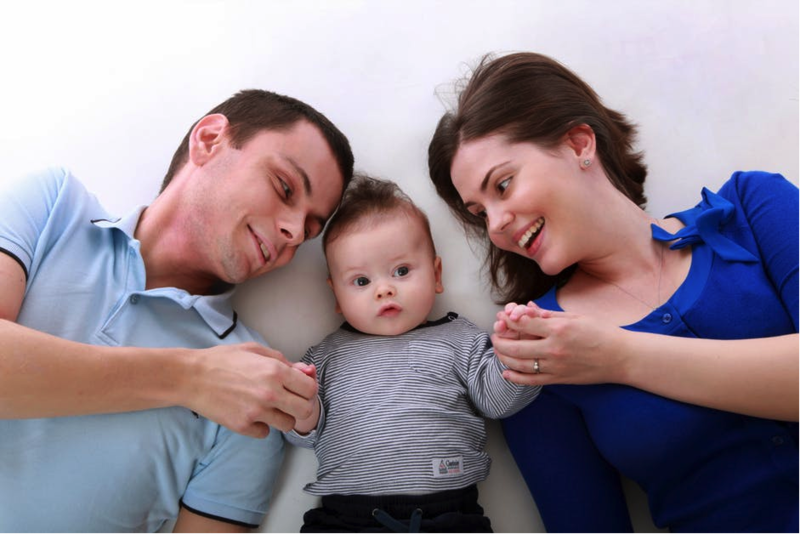 After all, many of us have a natural need to nurture, and providing entertainment and quality food to those you care about can be a rewarding experience. There’s also no denying that it can be a bit of an ego-boost when people enjoy something you have done for them! So, if you’ve persuaded your loved ones to come round to your place instead of going out, you’re going to want to pull something off that truly makes it worth it for them. Here are a few ideas to help you add that extra bit of sparkle to your dinner party. Nothing screams ‘posh event’ quite like a selection of canapes and appetizers – so why not try making some of your own? Typical practice for home entertaining is to throw some potato chips in a bowl and be done with it, but hand-making some pre-dinner treats shows that you’ve gone the extra mile. They can be quite fiddly to make if you’ve never done them before, so don’t try anything too ambitious just yet. There are plenty of flavorful yet simple combinations that won’t take a lot of time to make, but will still whet your guest’s appetite. ‘Bring a bottle’ is the usual protocol when it comes to having a meal with friends at home. However, if you want to treat your guests, ask them to leave the bottles at home – and YOU will provide the alcohol. This way, you can meticulously match the wines (or beers) to the food you are going to serve. Plus, you may want to invest in something a little harder for later in the evening, such as kikori whiskey. The spirits market has seen a huge resurgence in Japanese whiskey recently, so if you want to impress your guests, being knowledgeable about the most fashionable spirit around will certainly make your party one to remember. Even if you don’t have much of a sweet tooth yourself, simply bringing out a beautiful dessert can be enough to take your dinner party to the next level. Thanks to shows like Cake Boss, and across the pond, The Great British Bake Off, desserts have become more and more outlandish in recent years. Think of your dessert as a centerpiece as well as a sugary way to finish off the meal – there are some amazing designs you can use as inspiration if you’re not sure where to start. Most girls love to adorn their bodies with beautiful stones and precious metals. Jewelry has been part and parcel of many cultures, throughout time. Today, among modern societies and developing places alike, you’ll find this sort of bodily decoration to be extremely popular. In the recent past, these items would be too expensive for most people to own. But, in recent times, they’ve become much cheaper. This means that for those willing to are willing compromise on diamonds or other expensive stones, real bargains can be found. To help you with this, this post will be going through some of the best gems and rocks for visual and wallet appeal. A lot of people like expensive stones because they have very interesting visual features. For example, light dances within a diamond differently to any other stone. And, this gives it a very unique look. But, a stone’s price doesn’t dictate how special it is. In the case of the Tiger’s Eye, you’ll be surprised to see how beautiful a cheap stone can be. Usually, this rock is a mixture of light and dark shades of grey, in formations which almost look like strands. It looks best with a highly polished finish. And, it can be applied to almost any sort of jewelry to look nice. It’s rare to find such a fascinating stone of these colors. For some, the Tiger’s Eye may not seem girly enough. And, although it is elegant, it makes sense that it might not be everyone’s thing. 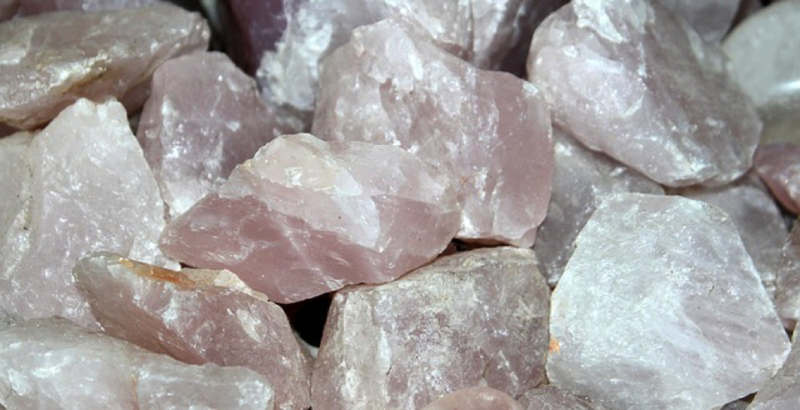 A rose quartz is a very different stone to a Tiger’s Eye. This sort of stone is, as its name suggests, pink. These stones grow in crystalline structures, with great detail and precise lines. But, they can also be polished to shine and look smooth. Like a Tiger’s Eye, this sort of stone is great within any sort of jewelry. A local jeweler should be able to help you to find this sort of stone. And, they may even be able to suggest some for you. This next rock isn’t actually a rock. Instead, it’s part of a natural process used by oysters and a few other types of mollusk. When a foreign object, like a grain of sand, enters the oyster’s, it has to protect itself against infection or damage. To do this, it creates a smooth shell around the object. And, this is the pearl you wear. These jewels of the ocean have been commonplace in most societies with ties to the sea. And, they can be found in the highest of society out there. The best sort of options for a stone like this are things like handmade pearl earrings or necklaces. 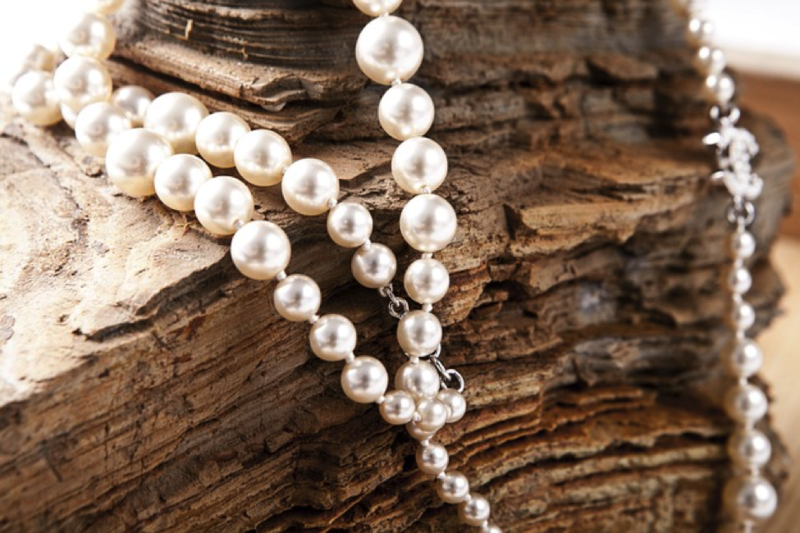 A lot of the examples you find from automated factories are made using substandard pearls to lower their price. Hopefully, this will inspire you to start saving some money on the rocks you wear. A lot of people like to use this sort of accessory to add some color to their outfit. It gives you the chance to make something more interesting. Or, you can use it as an accent to the clothing you already have.